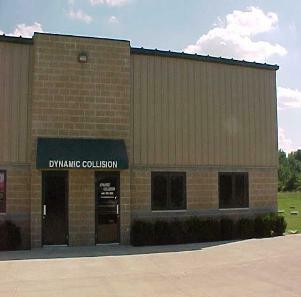 Dynamic Collision is a full service collision repair facility. Our company mission is to provide excellent workmanship and service to our customers, at the best possible prices. We work hard on repairs, but we work even harder to help our customers through the repair process. We've been in business a long time, and our experience will work for you. We are all professionally trained, and certified technicians. We use only the highest quality parts, materials and paints in our shop. This guarantees that your vehicle will look its best when we're finished with it. We provide free estimates - including parts, labor, and expected time to complete. We will walk you through the process so that you are comfortable entrusting your car with us. We are experienced in communications with insurance companies, and will assist in any way necessary to make sure your car is repaired as closely as possible to "like new" condition. No one like to have to visit an auto body shop, but Rick made the entire ordeal a painless experience. He explained the entire estimate and repair process very thoroughly. He also worked with the insurance company to convince them to contribute additional funds to fix the car right. The repair was completed quickly and perfectly. The car looks amazing! Rick is a Pro&apos;s pro and Dynamic Collision should definitely be one of the estimates on any repair.